The case uses a triple-layer design, consisting of a rubber slipcover, a hard plastic shell, and a built-in screen protector. While not marketed as waterproof, the case also incorporates port covers to block liquids and debris. 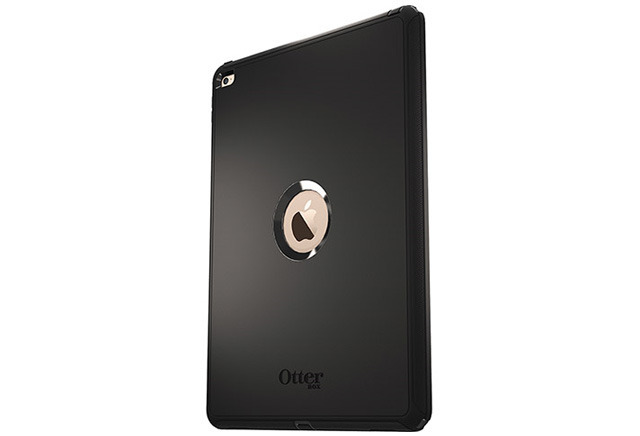 Otterbox added that the product shouldn't interfere with the Apple Pencil, and in fact includes a holder for the stylus in its detachable stand/front shield. 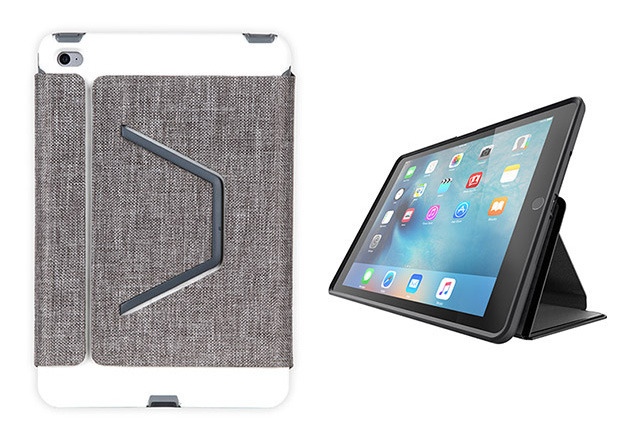 For the iPad mini 4 the company has a new Symmetry case. Unlike the Defender it uses a folio design, ditching a screen protector but adding a wraparound lid. Minis can be propped up in multiple stand positions, with the option of rotating into a portrait or landscape view. Finally, the Air 2 now has the Profile case. While similar to the Symmetry, the Profile is thinner, and doesn't support rotation. Likewise, instead of wrapping around, its lid snaps shut. The new Symmetry and Profile cases both come in four color combinations, and cost $59.95 and $49.95, respectively. The Defender for the iPad Pro comes in just a single color, black.